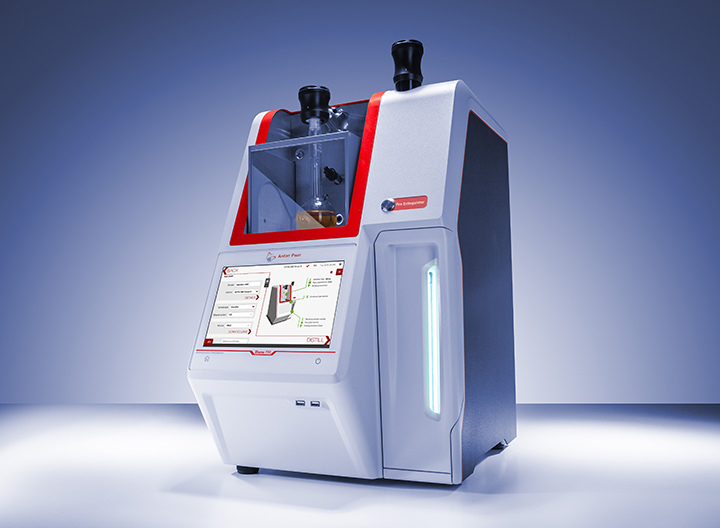 Diana 700 is the ideal solution for automatically performing high-precision distillation range analysis at atmospheric pressure. 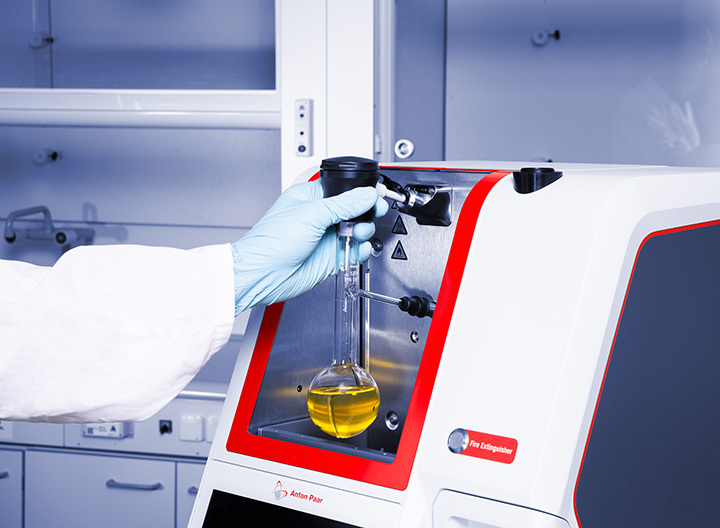 Typical samples to be characterized include petrochemical products, aromatic hydrocarbons as well as other volatile organic liquids. The combination of premium technology and distinguished features leads to unrivaled ease of use, high efficiency, and safe operation. 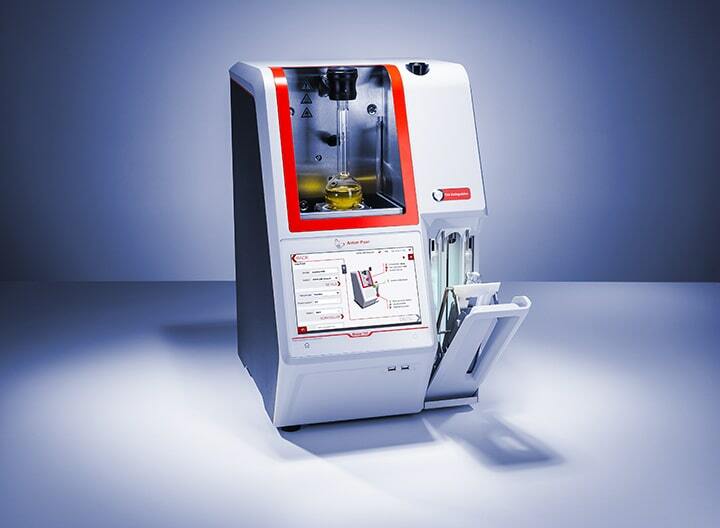 Diana 700 automates manual handling steps during the measurement setup to provide maximum support. 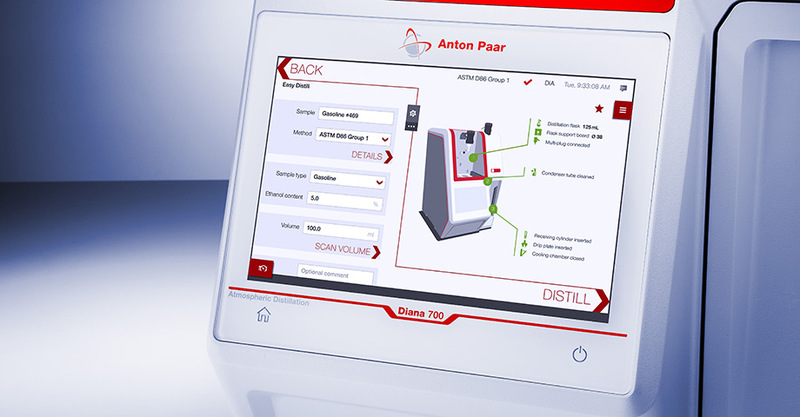 Additionally, for untrained users the innovative user interface employs illustrations as a step-by-step guide through the procedure that is necessary to start a distillation. 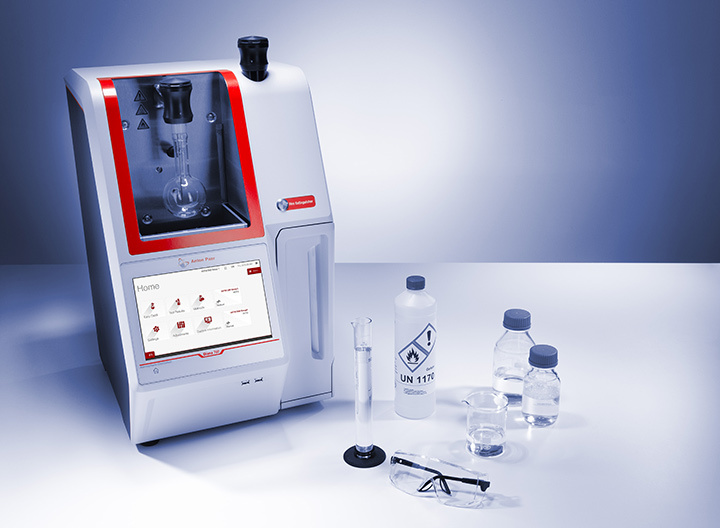 For experienced users, the advanced mode just shows the state of each component of the instrument and enables a fast start of the distillation. 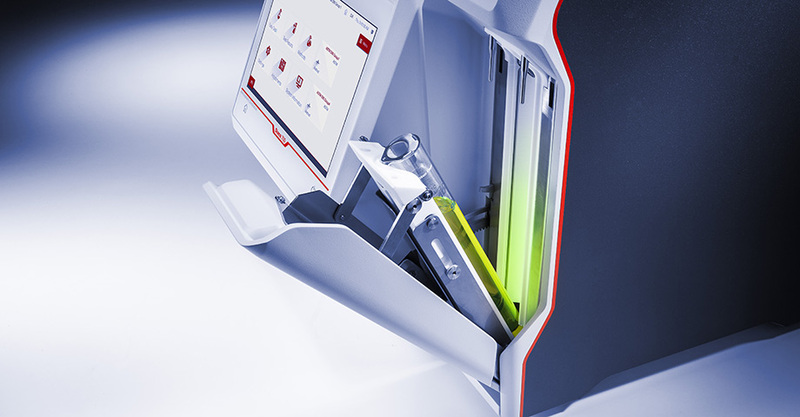 The intelligent condition monitoring system controls all steps and Diana 700 only allows you to start a measurement if all steps have been completed correctly. This helps to avoid having to repeat a measurement due to an incorrect setup or non-compliance with the standard. 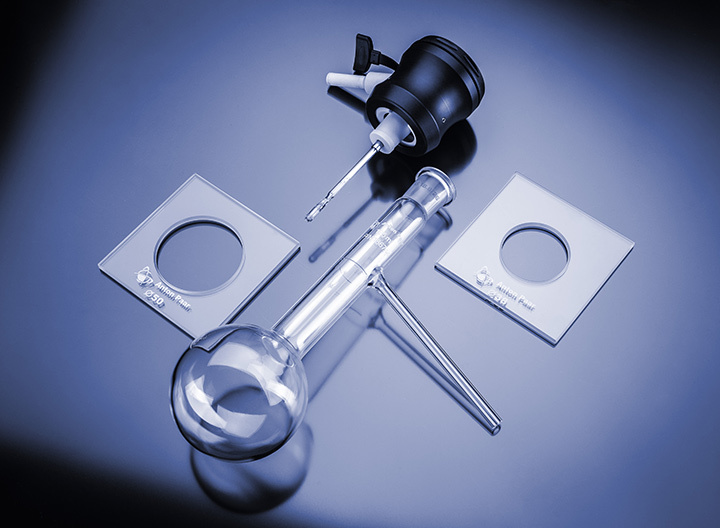 For a perfect operator experience and to increase the usability of the instrument, the vapor temperature sensor was combined with the flask holder. The resulting multi-plug was developed by considering valuable customer feedback. With just one hand and within seconds it is possible to install the distillation flask (125 mL or 200 mL) in the correct position. The integrated data memory stores the calibration data of the temperature sensor which is automatically applied when the sensor is mounted to the instrument. As soon as the distillation flask has been installed the heater and the protection shield move up fully automatically. The correct flask and flask support board are identified by the instrument and only if the correct type is installed can the distillation be started. 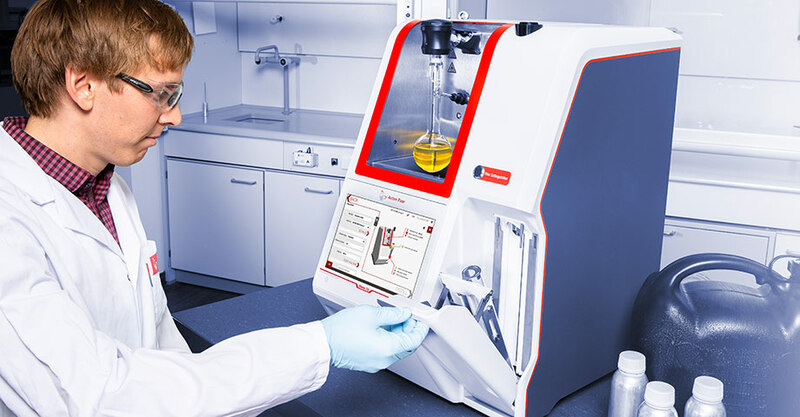 For a maximum level of safety, the automatic shield lift surrounds the flask, reducing the risk of touching any hot parts while a measurement is running. After finishing the test, the heater moves down to accelerate the cooling of the flask. This means you save time and can start your next measurement right away. You can operate the receiving chamber of Diana 700 smoothly to access the receiving cylinder. Thanks to the tight jacketing of the cylinder, the chamber guarantees an excellent stability of the sample and cylinder temperature. 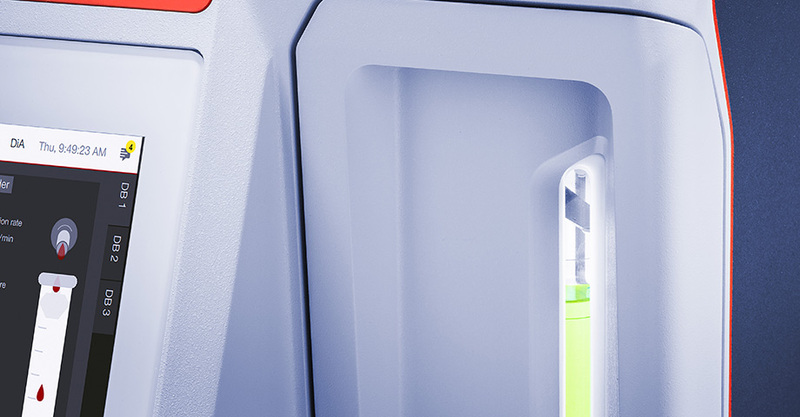 Using the highly efficient Peltier technology, Diana 700 enables a fast switch between different ASTM D86 distillation groups and reaches the required temperatures in less than five minutes. A unique cold trap avoids condensation caused by high humidity and reduces evaporation losses of volatile organic compounds (VOC) at the same time. 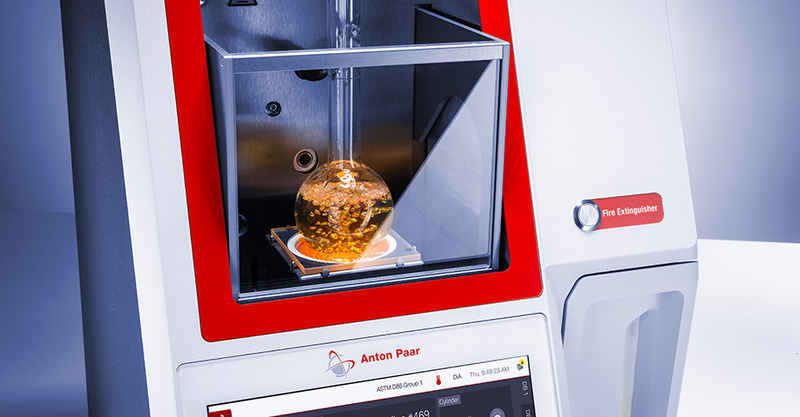 The volume detection of the atmospheric distillation unit Diana 700 makes use of the high accuracy of contact imaging sensor technology (CIS) to achieve a precise determination of the sample volume. This solid state technology is able to continuously follow the liquid level in the cylinder. Additionally, the volume is measured by the instrument before the test starts and corrected to 100 % volume, if necessary.